I have found Madaba to be a very interesting place. 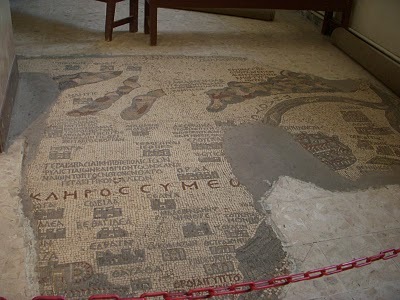 Certainly a town that is easy going and known for its superb, historically significant Byzantine era mosaics. 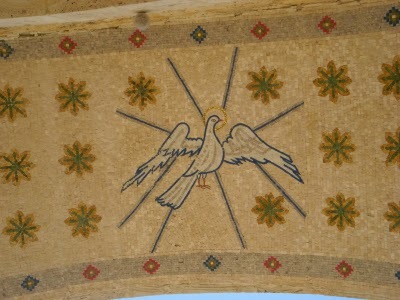 I must say the mosaics are of beautiful artwork. 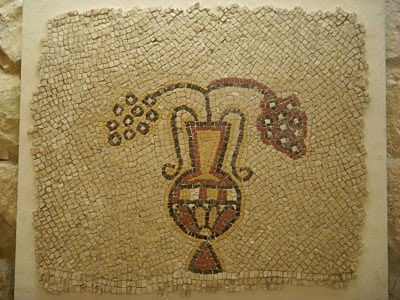 Very stunning mosaics made from very small stone. I, of course, don’t support the images they produce that are connected to Christianity, nevertheless, the artwork is to be appreciated. 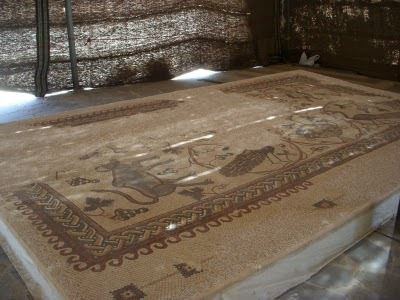 The two pictures below is of a Mosaic produced in 560 CE, it is a map of the known world of the middle east and of Egypt. 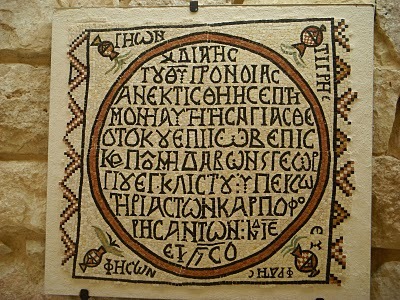 The Mosaic is on the floor of the Orthodox St. George’s Church. 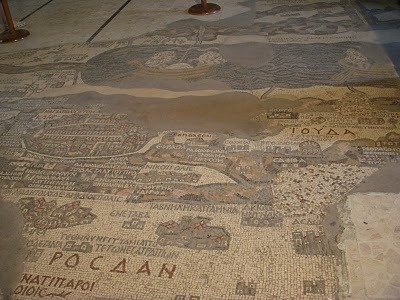 Once the Mosaic contained more then two million pieces, now only a third of the whole map now exists. 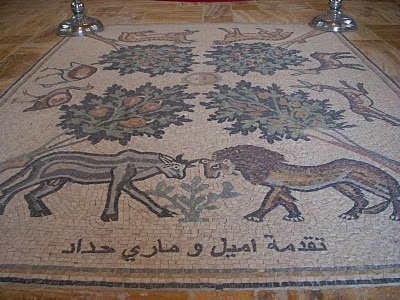 Mount Nebo is only 12km north from Madaba, the place where Moses viewed the land of Canaanites. Moses, a man who lived at a very high level of consciousness, who taught the truth, who put up with humans who were faithless, a stiffed-necked people who would not listen. The one Prophet who wrote down the laws of human behavior which is related to love and faith. Moses was raised in the court of the Egyptians for the purpose to be educated, to learn how to read and write. Now, of course, many people deny the truth; each person has been given free will to choose for themselves what is the truth of a matter. From talking to many people, the average wage is from 150 to 200JD a month. If the wife works a family might bring 400JD a month. Again, this is only from the people I have talked to, this seems like the average wage for Jordan. Much better then Egypt, most people in Egypt will only make $60 a month. I can say one thing for certain that the men here in Jordan are much more grounded emotionally than in Egypt, except for when it comes to how they react to western women, then they seem to fall apart. People seem to mind their own business, the hotels keep to themselves much better than in Egypt. 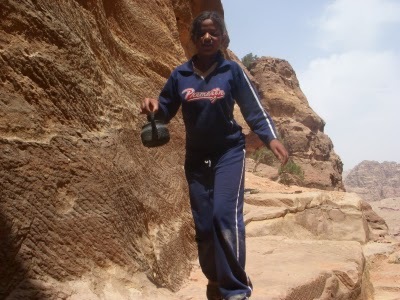 The below picture is a girl I visited with in Petra. She was very nice Beaudoin from a very large family. I run into other travelers, once in awhile, that have a lot of ego involvement regarding their travels. Every time I run into this type of egotism, the person is not residing in the moment. Of course when the subject comes up about my plans, they get somewhat jealous. Nevertheless, I don’t go around bragging about what I am doing, when the subject comes up I do share my tentative plans, many people do want to know. Also, it can be good for a person to hear what other people are doing regarding their travels – their unhealthy jealousy will keep them stuck in mud, although many people do manifest healthy maturity. First and for most, what I am doing is really no big deal. I do realize that many people see my style of traveling as a dream. Believe me this just happened, I didn’t have a single dime saved until I started to save in January 2005. I never really planned to travel for a long time, although did have the desire. Even when I knew I was going to be leaving in February of 2006, I didn’t think much of the idea traveling for five to seven years. People that I shared my idea with before I left had some very strange ideas, most said that I am “brave”, there is nothing to be brave about – fear is a figment of a person’s imagination. Indeed I am very thankful for what has been granted, although I did sacrifice everything, which is something that needs to be done – free from all attachments is crucial. How much is a person willing to give up? How long are you willing to wait? What is meant to be, and what is not meant to be in a person’s life? Important questions that a person needs to ask themselves. Most people ask – am I working, in school, writing a book? Sorry, none of the above is happening. I mean really, think about it – what the hell is a person doing just traveling anyway? I mean traveling Egypt for five months – people look at me like I’m nuts. The subject of loneliness and boredom surfaces in many discussions. Traveling alone is the only way to travel for myself, I wouldn’t have it any other way, although I am willing to travel short term with a friend. Most people feel there must be a purpose; spiritually, there’s always something going on; although, I am not pilgrimaging anywhere, or seeking anymore – nevertheless, always learning. Believe me, this is the truth – it just happened – it is where my life has been directed. Why am I traveling? No particular reason – just feel like traveling. What will sustain me? Having an interest in others! Not being selfish regarding time or money. Realizing that a person’s home resides within; hence, I am always at home. Many people do ask, do I miss anything? OK – I admit – I do miss watching MGM movies of Gene Kelly and Judy Garland; what can I say, these things happen. An all American breakfast certainly isn’t happening within this moment, there are somethings a person just has to go without in life. 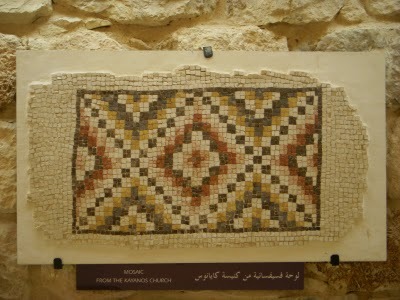 Beautiful Mosaics of Madaba – just beautiful artwork. Next post: The Jordan Valley. Previous post: The Karak Castle & A Major Update.